NASA’s Curiosity rover successfully drilled a hole 2 inches (5.1 centimeters) deep in a target called “Duluth” on May 20, 2018. The hole is about 0.6 inches (1.6 centimeters) across. It was the first rock sample captured by the drill since October 2016. A mechanical issue took the drill offline in December 2016. This image was taken by Curiosity’s Mast Camera (Mastcam) on Sol 2057. It has been white balanced and contrast-enhanced. 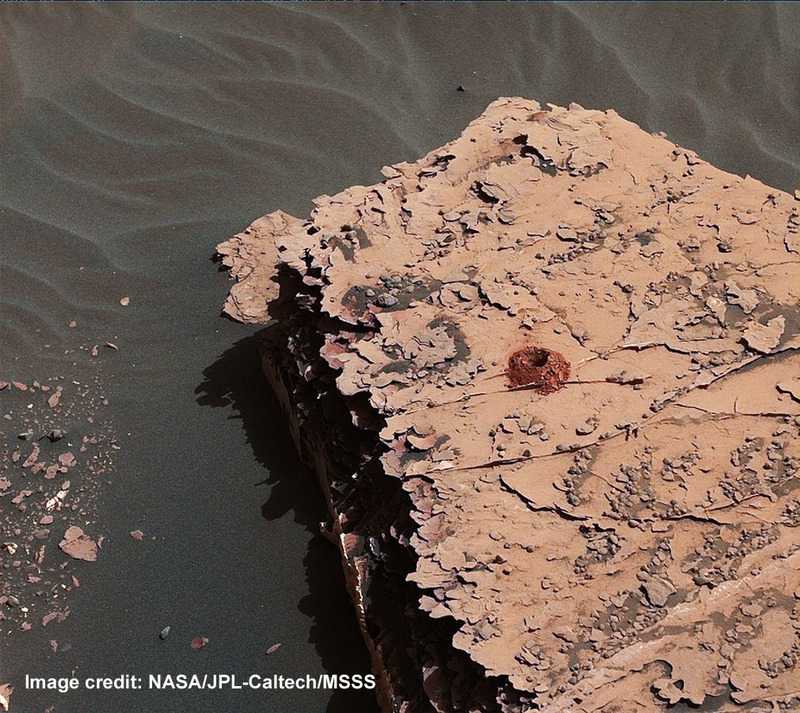 This entry was posted in Science News and tagged Curiosity, Mars, rocks on 2018-05-29 by Linda Chappell.